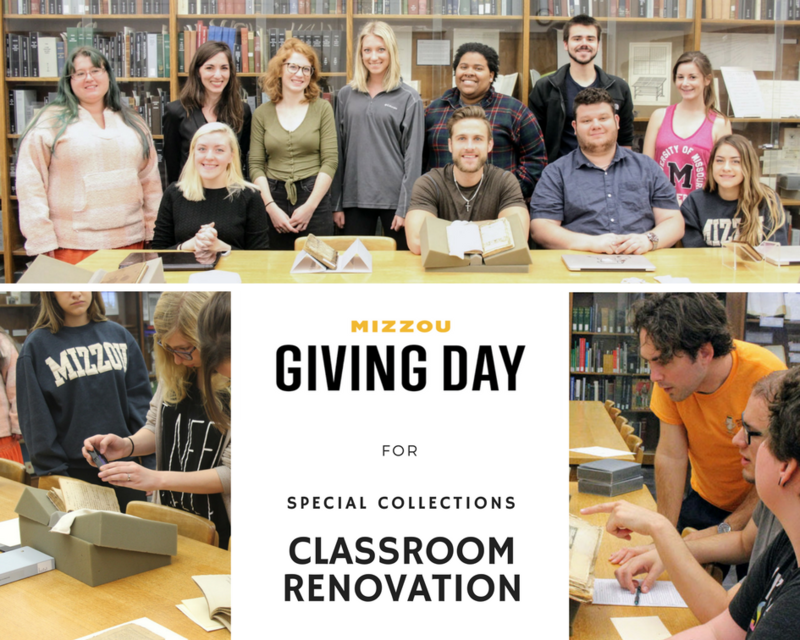 home Engineering Library, Support the Libraries Mizzou Giving Day is here! 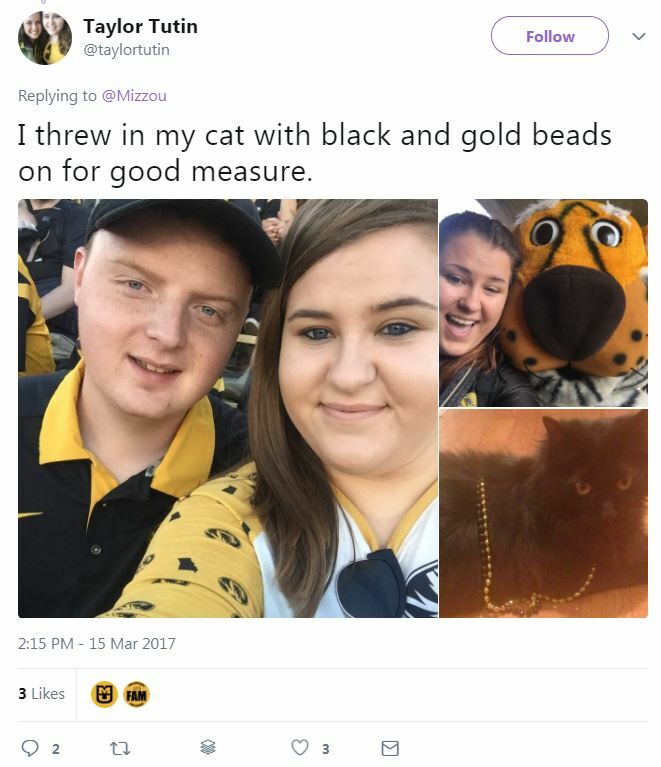 Mizzou Giving Day is here! 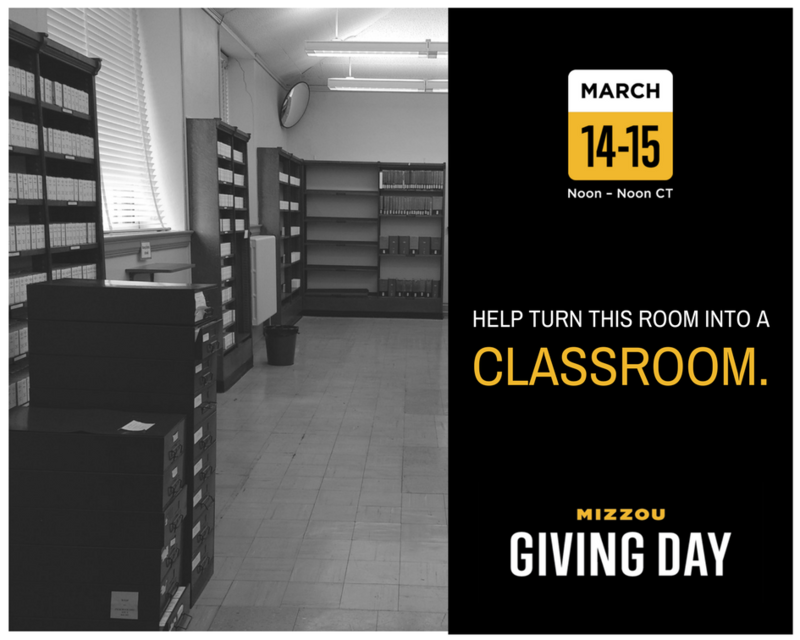 Please consider a gift of any size to support University Libraries from noon, Wednesday, March 13 to noon, Thursday, March 14. Mark the dates on your calendar and share giving information with a friend! 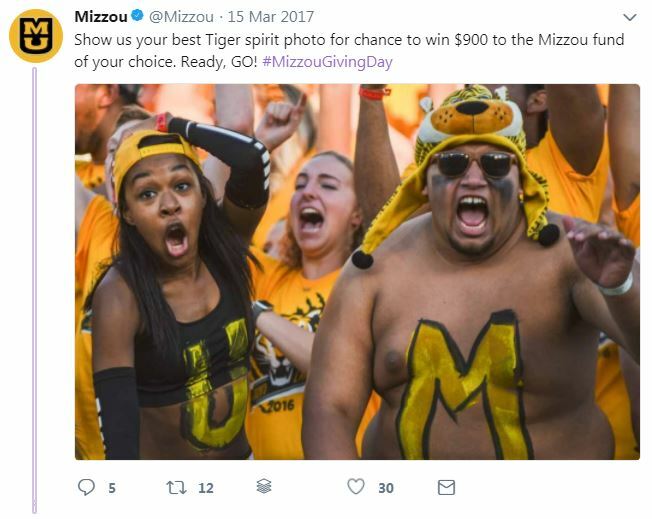 Your support is key to making Mizzou Giving Day 2019 a success. 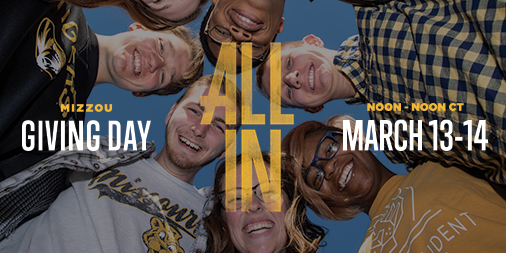 Use the hashtag #MizzouGivingDay and #AllInMizzou on Facebook, Twitter and Instagram to spread the word and inspire other Tigers to make a difference at Mizzou. 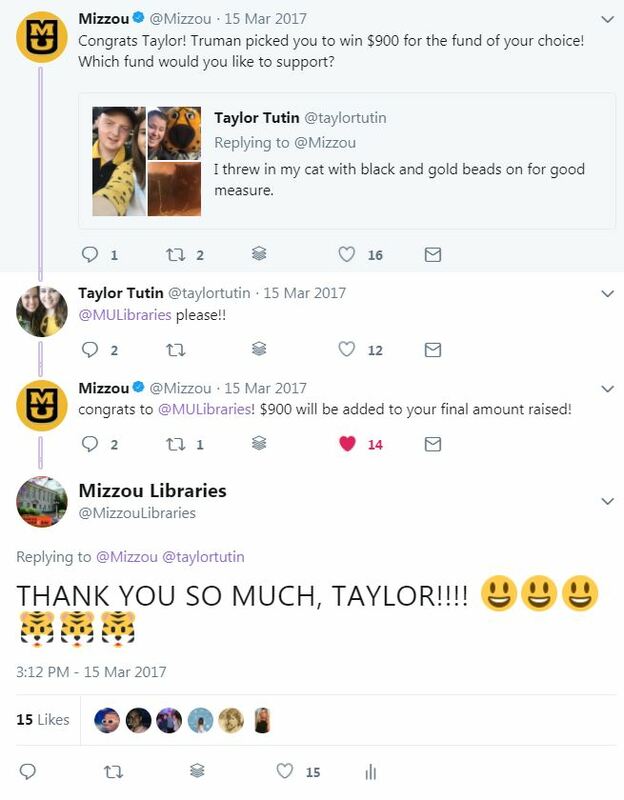 Please put in a good word for University Libraries while you’re at it. Did you know that Ellis Library is the second most visited building on Campus? 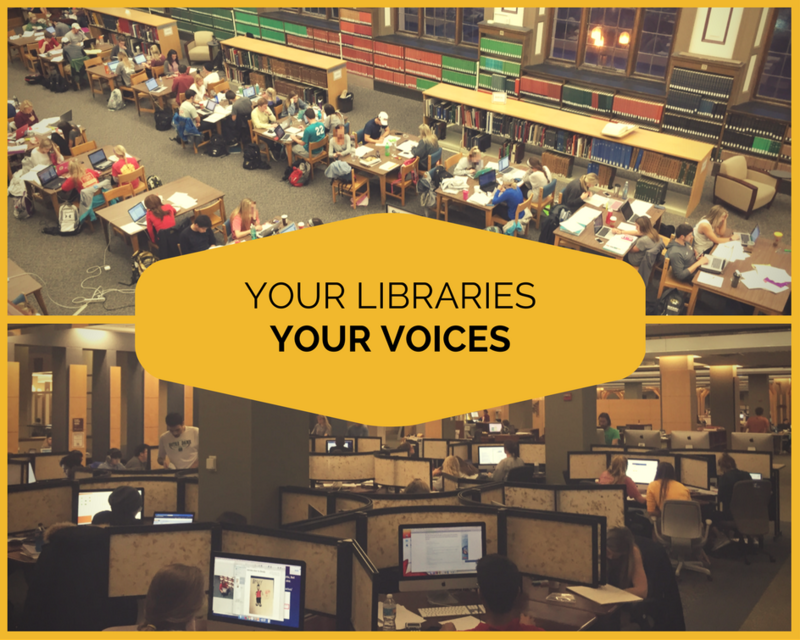 Over 6,000 students use Ellis on a typical school day, and another 2,000 students use specialized libraries that serve Engineering, Geological Sciences, Health Sciences, Journalism, Mathematical Sciences, The Missourian and Veterinary Medicine. Yes – Libraries are the heart of the academic experience, and Great Universities have Great Libraries!! 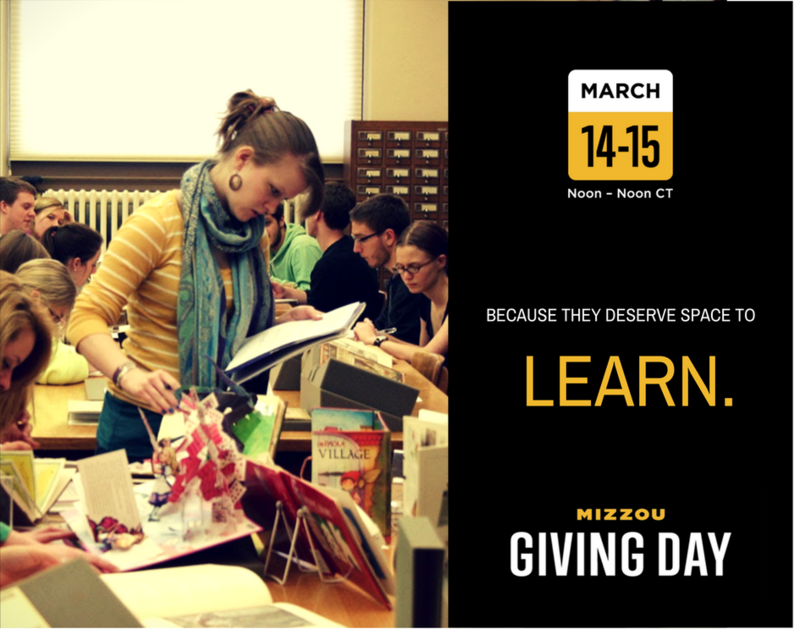 For more information about how you can direct your gift to an area of interest to you, contact Matt Gaunt: gauntm@missouri.edu or 573-884-8645.
home Support the Libraries Mizzou Giving Day Is Coming on March 13! 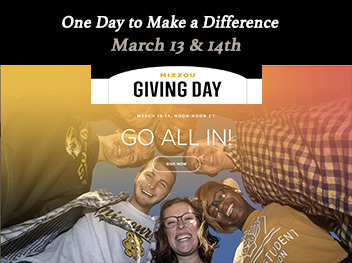 Mizzou Giving Day Is Coming on March 13! The health sciences librarians listed 100 of our “Most Wanted” books on the 2018 University Libraries book wish list. 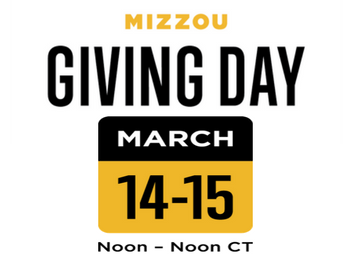 For as little as $22, you can help our continued mission of supporting health sciences teaching and research at MU. 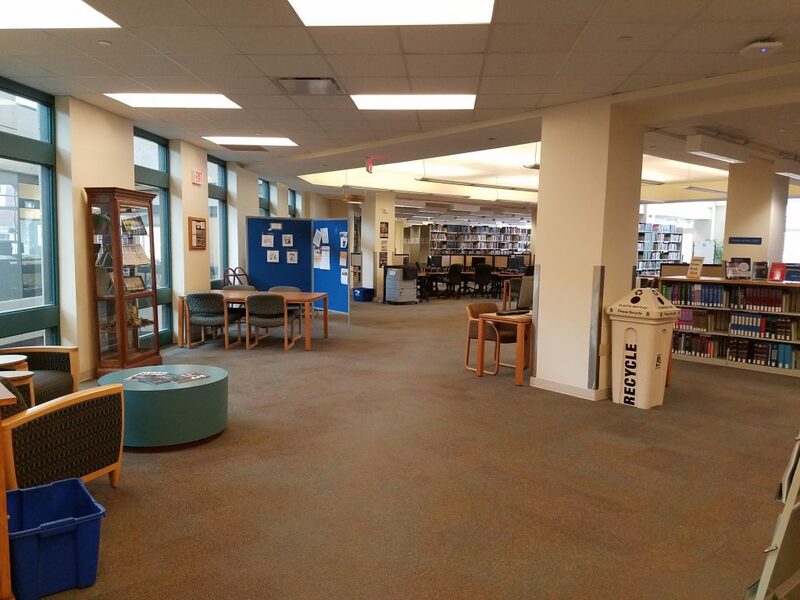 In spring of 2017, MU librarians created a wish list of over 400 titles that would enhance teaching and research, but that could not be purchased due to fiscal restraints. The response from alumni and friends exceeded our highest expectations. Fifty-six donors purchased 105 books and electronic book collections, totaling $22,270 in gifts. Welcome back to all students–we hope your semester is off to a great start! 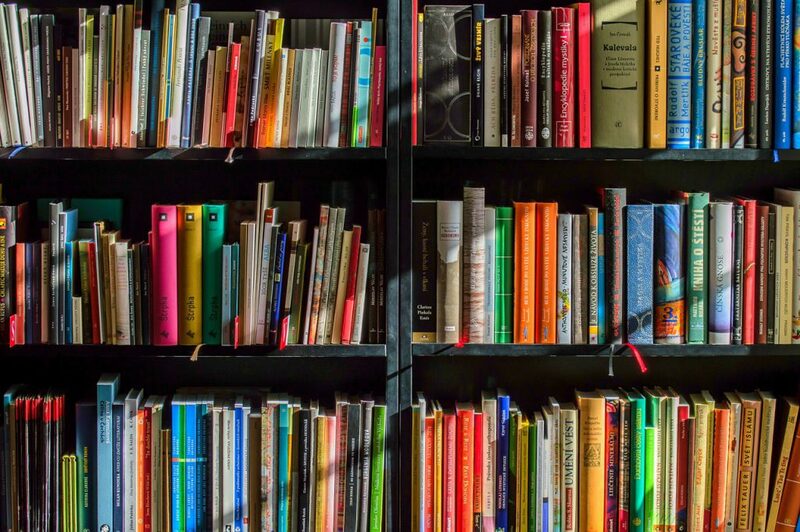 Have you heard of the Library Ambassadors program? It’s a low-commitment, high-impact way for students to support the libraries. To learn more about the Library Ambassadors program, and how you can be involved, check out the Library Ambassadors info page. All Library Ambassadors are welcome to attend the University Libraries Student Advisory Council (ULSAC) as non-voting participants. For meeting dates and times, check out the ULSAC info page. 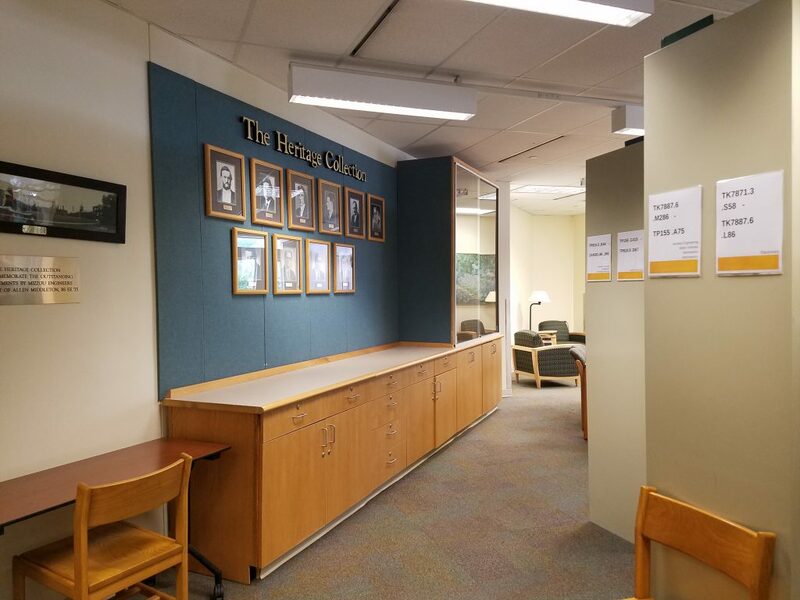 In addition to our study rooms, we also made a few small changes to the library as a whole while you all have been away this summer. 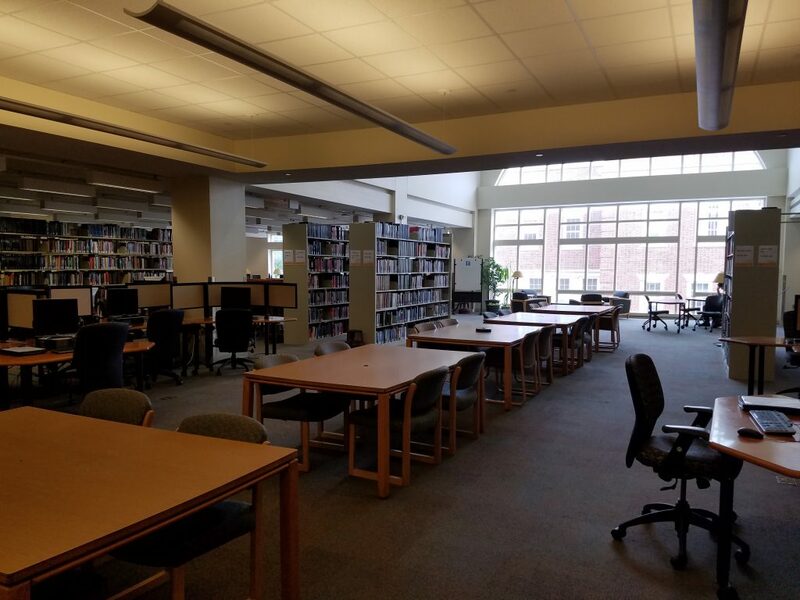 In order to de-clutter and really open up our space, we removed some unused or unnecessary furniture including a dictionary stand, stools, a metal table, a bookcase, and study carrels. Don’t worry, there are still a ton of carrels left for you solitary studiers! 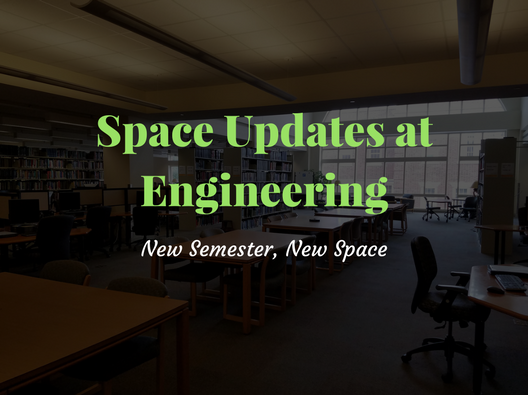 We rearranged the furniture in our newly acquired space and added a display case given to us by the College of Engineering to show off more Engineering memorabilia from the Heritage Collection. 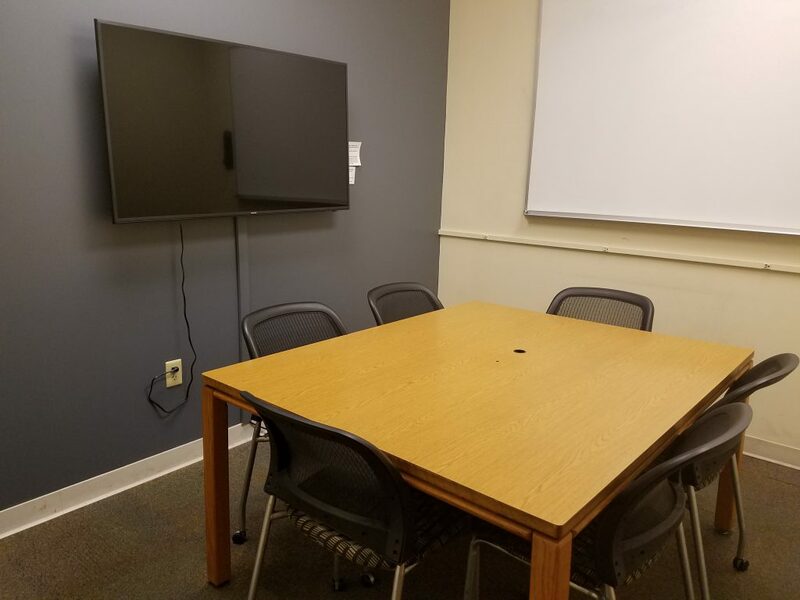 We received new chairs and a few new tables for our study rooms from the College of Engineering. 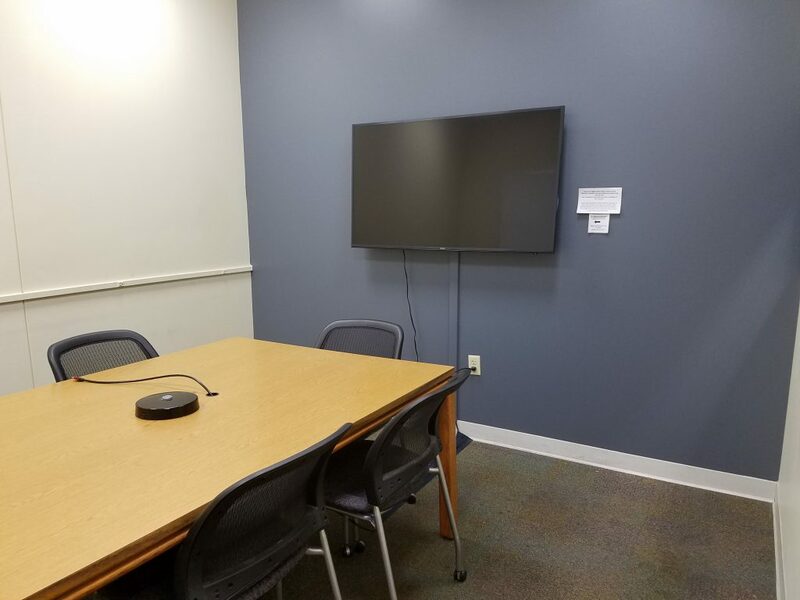 The new Student Services Enhancement Fee helped us pay to paint the walls behind the monitors so there is less eye strain when using them. 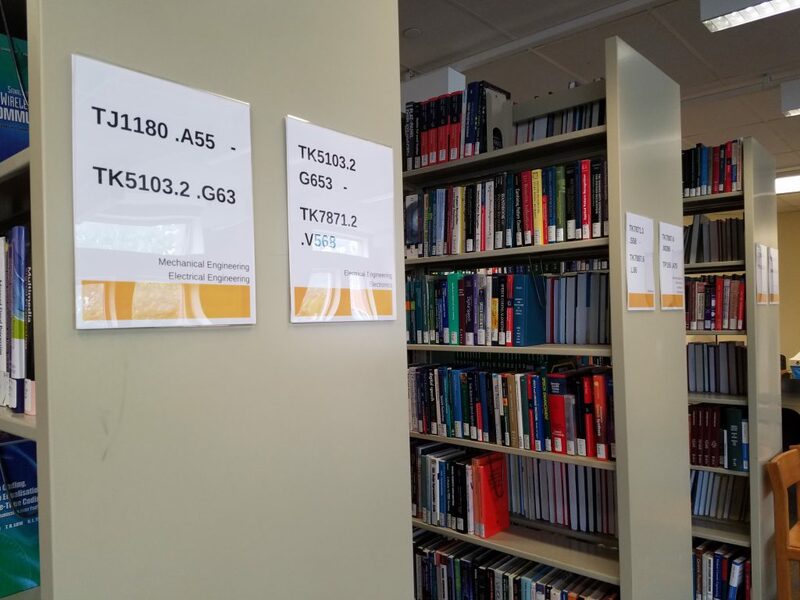 We redid our call number labels at the ends of the stacks for a more polished, user friendly look. The labels now have acrylic holders for durability and they contain subject headings for easier browsing. The College of Engineering gave us framed Dean portraits to replace our paper ones on the Heritage Collection display board (Dean Loboa’s portrait is still pending). We would like to give a big thank you to everyone who helped us change things around! 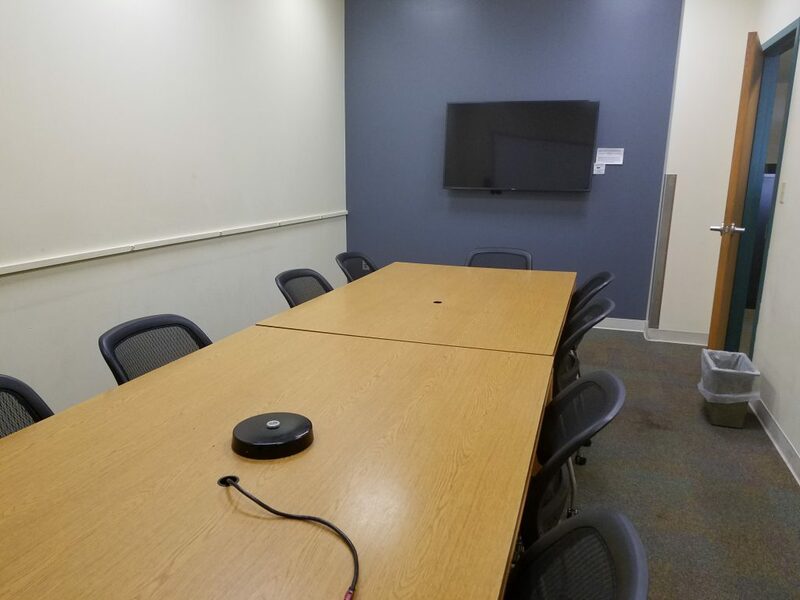 You may notice when you come back to the library at the start of the semester that our study rooms look a little different! 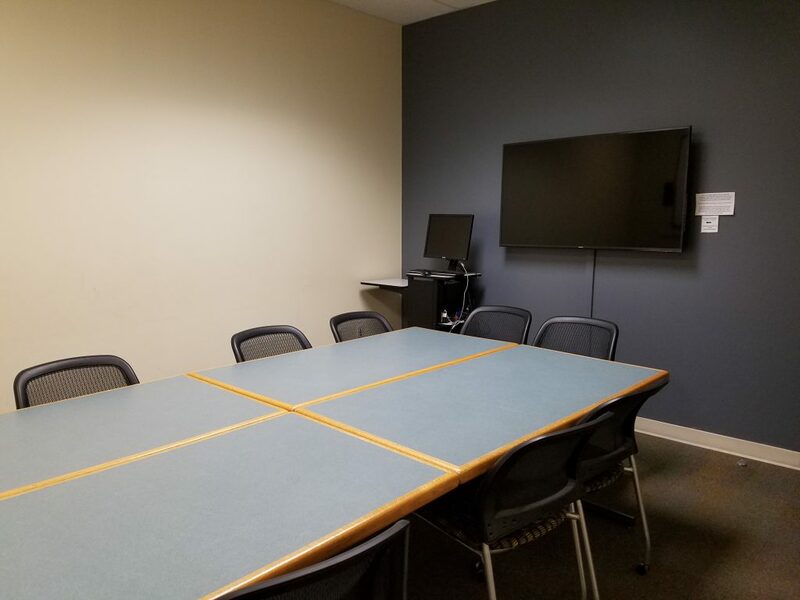 We would like to give a big thank you to the Student Services Enhancement Fee for providing the funds for us to paint the wall behind our monitors and to the College of Engineering for our new tables and chairs! 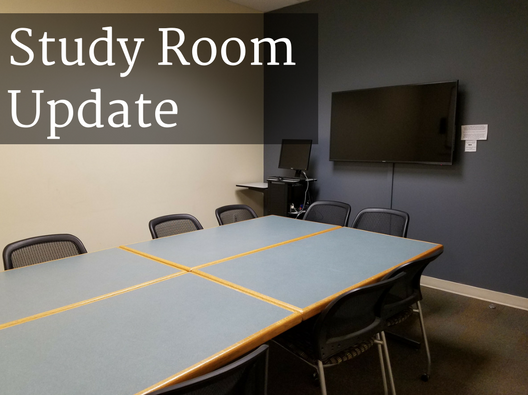 Reserve one of our four new and improved study rooms online.